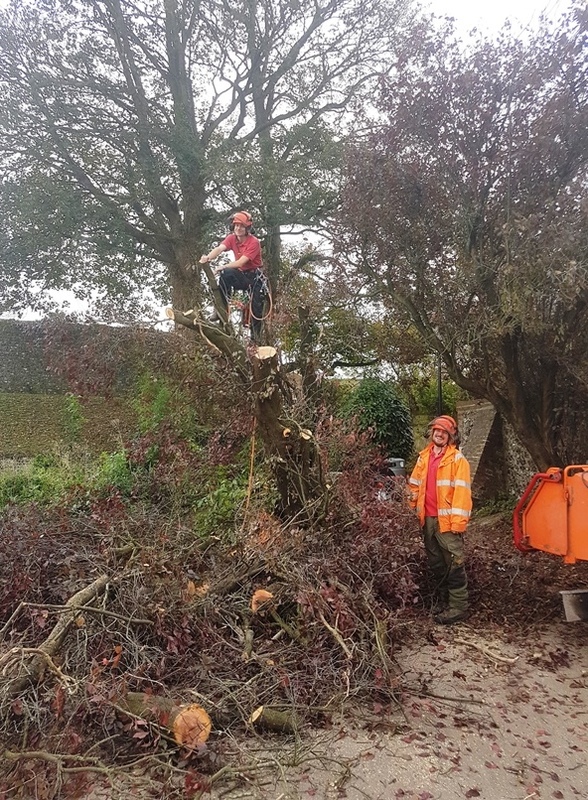 In the first on-the-ground step in the project to renovate Lewes’ Magic Circle as a Garden of Peace, this Pissardi plum tree is being felled to make way for landscaping work. This will allow a clear view from the Maltings car park – a key part of the overall garden design. The project is being led by the Friends of Lewes, and being funded by FoL, Lewes Town Council, the SDNPA and by Lewes District Council, who is also managing the construction work. The target completion date is June 2019, to coincide with the signing of the Treaty of Versailles.